Cruising by definition is to sail or travel about, as for pleasure in any type of watercraft, in an unhurried or unconcerned fashion. The idea of exploring the bay in the hope of discovering something new or meeting new friends is what cruise weekends at LTYC are all about. Come and join us as we visit old familiar anchorages is the most beautiful cruising waters of New England. 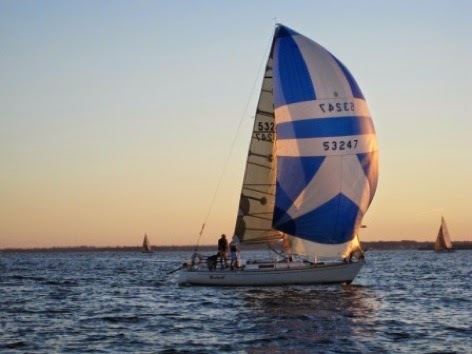 We will try to select 4 weekend locations over the summer months that offer easy access, all within a few short hours of our homeports along Buzzards Bay. Our cruises have taken us on weekend trips to the unspoiled Elizabeth Islands to include Cuttyhunk, Quicks Hole, Weepecket Island, Hadley’s Harbor, Woods Hole just to name a few. In the past, we have travelled in concert to Nantucket, Martha’s Vineyard, Maine, Rhode Island, Long Island, and NYC on longer sojourns. We have organized trips to the British Virgin Islands as well. Join us as we travel together, raft up or just stop by for cocktails, share gourmet pot-lucks, spin a yarn or two, plan a shore excursion, take part in a blind folded dinghy race, or just hang out on the beach, talk boats and enjoy each other’s company as we have for many generations. Perhaps you have never felt the comfort level to travel alone to some of these ports, Power and sail know no boundaries, we are boaters who enjoy the Bay and we want to keep the spirit of LTYC alive. We need your participation, welcome new suggestions and look forward to sharing our experiences. If you have been cruising with us, or have an idea for a cruise, please leave a comment below. We hope to see you on the water this summer!